Bo Huang International Furniture Expo Center, located in Guangzhou, the most promising commercial Area - Fangcun, Shenzhen's most influential furniture chain - Bo Wong Home Group-owned building. Bo Wong Home Group was established in Shenzhen in 1988, so far, pick up large furniture stores in the land management experience. 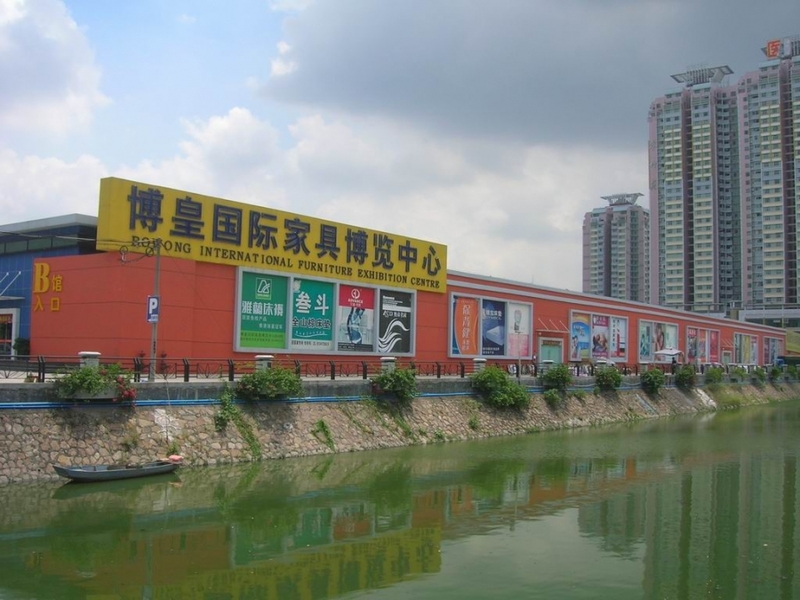 Bo has the biggest in Shenzhen Fu Yong King International Furniture Exhibition Center, Shenzhen, China Shun furniture wholesale center, Bo Huang Dongguan Furniture Exhibition Center Real Madrid, Bo Huang Zhangmutou furniture wholesale center and dozens of major home stores. Bo Wong Group, tens of thousands of joint home priced at one to one direct marketing brands, customer brand furniture dream of success. Bo Huang International Furniture Expo International Exhibition Center with a modern steel building model, the overall design elegance elegant, imposing, modern flavor concentration, is the largest in southern China, designed the most perfect and most unique modern furniture wholesale center display . Bo Huang International Furniture Exhibition Center covers an area of 10 thousand square meters, divided into A Hall, B Hall, modern office furniture exhibition of three parts. Management styles of the latest international quality furniture, office furniture and modern furniture brand in Hong Kong, Taiwan and other high-end furniture brand furniture. Hall will all artistic, modern, real-uniform distribution of the image, allow customers to linger in this, feel the new generation of furniture, a new image of the professional market, as furniture, art exhibition center, fully reflect the style of the international furniture market. Business: the latest international styles of fine furniture.